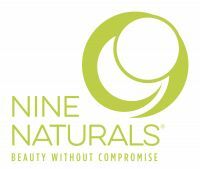 At Nine Naturals, their mission is to make beauty simple, smart and safe for Moms and Moms-to-be. They craft their products to give you the amazing results you love while making safe and effective ingredient choices. Because taking good care of yourself is the best thing you can do for your baby. Sulfate-free. Paraben-free. Phthalate-free. BPA-free. Triclosan-free. DEA-free. Petrochemical-free. No artificial dyes or synthetic fragrance.